A serene and dramatic design that intersperses real seashells in creamy-white tones and their natural iridescence with crystal pieces. See a closeup detail of the shells (shown with the Topaz STRASS crystal color). Optional colored crystals can create an entirely different and unique mood. Finished in Midnight Iron or Silver Pearl (shown). Available in Danube Collection (3) or Swarovski STRASS (9) crystal levels. 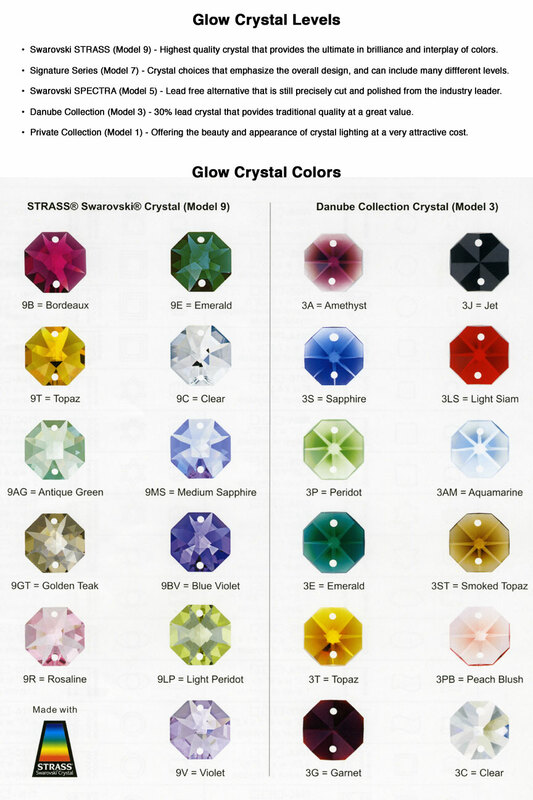 See the different options of Crystal Colors and Crystal Levels.